Blog hosting is not a strange thing these days, everyone knows what is a Blog. But how about "Forum Hosting"? I'm sure not every Bloggers know about Forum Hosting, and one of them was me haha. Just like a Blog hosting that provide us to create a Weblog, Forum hosting is a service where we can create and launch our own website forum. Let the developer take care the back of the processes like installing the software and the server things, all we need to do as the forum owner is to create a nice and useful place where people willing to registers as the member of our forum and discuss there. Unlike a Blog or Weblog which is a "one man" or one team show, a Forum website success is also heavily depend on the forum users. If you have quality members on your forum, it will make a bright future for your forum. If you are having a successful website or Blog, having a Forum is a great addition. Fans and loyal visitors or readers to your site or blog could have place to discuss. It's like you are having your own loyalist "content creator". Don't worry about the hassle like paying for a hosting, installing CMSes, and scripting because we can launch our own website forum in a minute by using the Forum Hosting services for free. 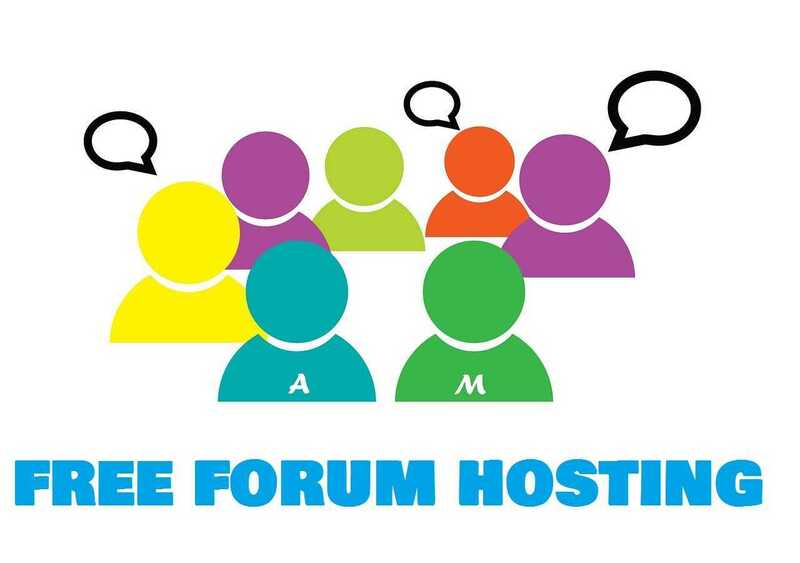 There are many free Forum hosting services on the web. Some of them are popular already with hundreds of thousands forums have been online under their service. So if you are interested to build your own online forum website, don't think twice and start it right away. Here are some good recommendation of great and free forum hosting services you can try. Check them all out! "Free", a word everyone is seeking in this world. But as a Blogger, Webmaster, or Internet Publisher, we know that nothing is made by human hands are really free. So where from the Free Forum hosting provider earn the income to pay the cost for their running servers (and also their coffee and donuts)? Most of (if not all) the Free Forum host services will display advertisement in the forum created under the service. For me as Blogger, this is a fair and square trade off. We get the forum for free, the developer get sufficient income from the ads. If someday our website forum become a hit or we are indeed serious from the start, we can subscribe to the premium / paid plans the Forum Host offered mainly to remove the advertising. Each of the free forum hosting have different range of prices and tolerance about the premium plans term. So which is the best forum hosting will be decided by what additional features they offered. How the forum can be flexible enough to be customized, predefined forum templates to choose from, ability to use our own custom domain name, variety of additional plugins they have, etc. The 7 forum hosting list below are listed from the most popular and well-known free forum hosting providers that has been trusted by many users and there are hundreds of thousands forum online under their service. In no particular order, here they are the 7 free forum hosting, WeBlogWap version. Easily create your very own free MyBB forums with CreateMyBB! We pride ourselves in having a friendly and reliable support team, helping you with the few problems you may have. Get instant access to your forums - no technical knowledge required! It's easy to see why thousands of webmasters like you have already chosen CreateMyBB as their forum host. CreateMyBB at createmybb.com is one of popular free hosting. Just like the name, CreateMyBB is using MyBB forum software to host the forums created using their service. At CreateMyBB you can add custom domain to your forum and customizing your forum appearance to the template system even when you are still on the free plan!. There's just one thing I think too shame, it is CreateMyBB only allowed forum in English language. You can view all the features CreateMyBB offered at CreateMyBB official site features list page. CreateMyBB Ad free plan. As far as I know, we can subscribe to CreateMyBB premium or Ad free plan for US $10/month to remove the advertisement. 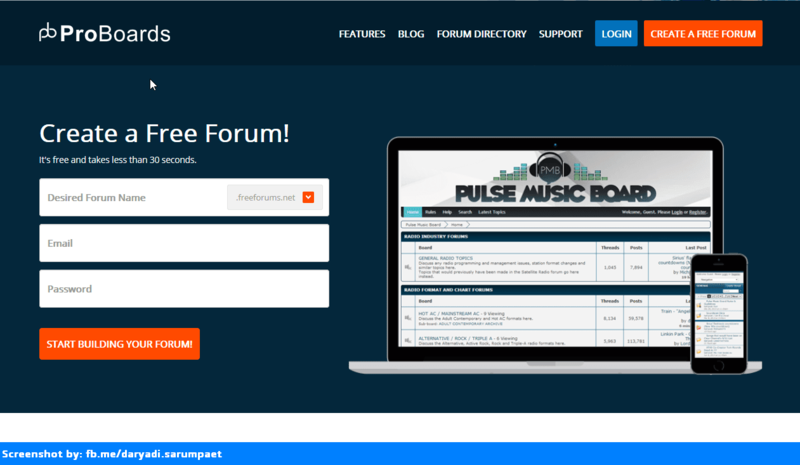 Another good and trusted free forum hosting to lauch your own Website forum in lesst than 30 seconds is Proboards. No Size Limit — With ProBoards, you can create as many categories, boards, members, threads, topics and posts as you like. Mobile App — Android or iPhone; Now members can stay connected when they're on-the-go. Simple Admin Tools — Clean and easy to use admin area with clear language and a simple layout. YouTube Embedding — Members can share their favorite YouTube clips and embed them directly into discussion posts. Remotely Hosted — No software, no installation, no downloads. Scalable — ProBoards free forums will scale to accommodate any size community! Top Moderation Tools — ProBoards provides effective tools for moderators to discuss issues and render decisions beyond the view of other forum members. Premium Features — Additional premium forum options including the ability to use your own custom domain name, remove advertising from your forum, and the ability to change your forum URL. Proboarda offering some premium features subscription plans like $14/year to use our own custom domain. The ProBoards Ad free plan cost $6/month per 50.000 pageview quota. Build an online community today with Create A Forum. We have easy to use forum hosting solution. Unmatched features found in no other forum hosting service. Room to grow from our standard free plans to our paid ad free plans. We have thousands of forums hosted with us with more added each day. Give us a try and build your forum community today. As far as I know, Create A Forum is built by the same developer who also responsible for the core of CreateMyBB. You can get a subdomain for free as your forum address hosted at Create A Forum like yourforum.createaforum.com. Complete Forum System for free forums. Supports unlimited posts, topics, boards, subforums. Includes an advanced permission system to control permissions by member groups. Classifieds System. members can have auctions and listings with the option to charge a fee to list an item. Branding Free Option. Park your own domain and remove branding from your hosted free forum to grow your community. For the premium / paid features, Create A Forum provides different subscription plans that offers different quotas of Ad free pageviews along with other additional features starting from $5/month to $19.95/month for their ultimate plan. Creating a free forum is easy and fast. A discussion board is the best solution to build your own community and discuss online. Forumotion offers free hosted forums with complete and customizable forum system. Change the version of your forum at any time to make your forum unique on the Internet! 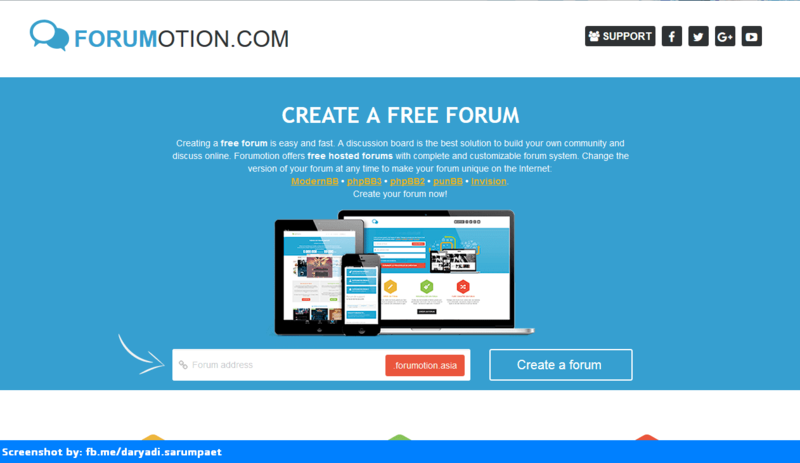 One of the most trusted service to create a free online website forum on the go, Forumotion. 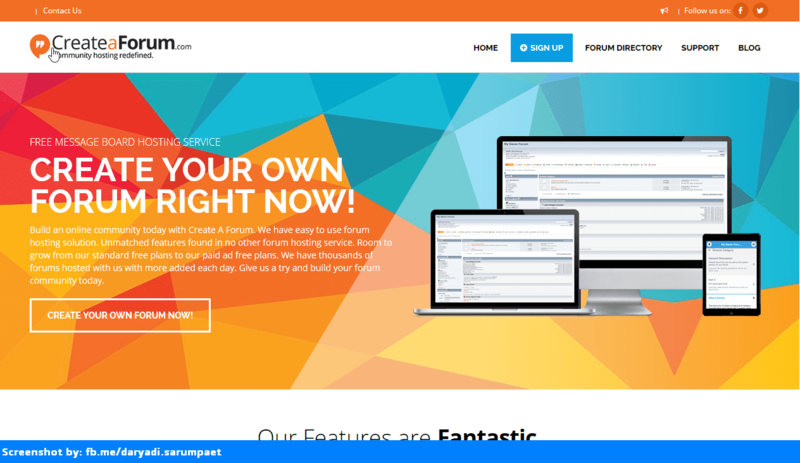 With more than 100.000 forums online under their service, community support, and amazing features make Forumotion become one of the best in the Forum hosting provider business. At Forumotion, you can get free subdomain as your forum address like yourforum.forumotion.asia. What makes Forumotion stand out from other Forum Hosting providers is that Forumotion offers the ability to choose from 5 different forum software versions for the forum created there: ModernBB, phpBB3, phpBB2, punBB, or Invision. Access thousands of free themes. Secure your forum with an SSL certificate. Unlimited members and messages, a domain name including personalized emails. Get regular and secure backups of all the content of your forum. Forumotion is using credit system between Forumotion and the forum administrator to obtain additionals forum functionality like getting Ad free pageviews, ability to use custom domain, and other additional features. Credits can be purchased or earned through the forum activities. The Forumotion credits price vary depend on how busy a forum is. For example to get a 1 year Ad free forum at Forumotion for a starter forum it will cost around US $20. Boardhost is one the oldest service providing online website community creation. 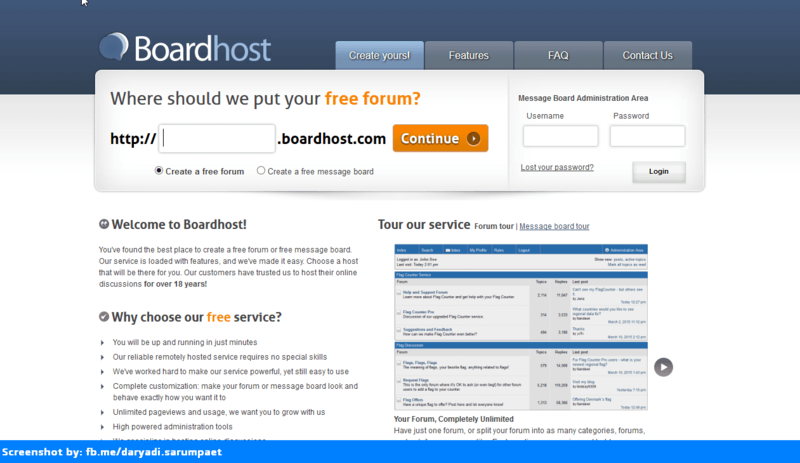 Besides offering free online Forum hosting, Boardhost also provide the creation of message board. If you think all you need just a quick place to chitchat between you and your group without all the hassle managing every aspects of a Forum website, then the message board is the right choice to go. At Boarhost you can get free subdomain like yourforum.boardhost.com for your forum address and md.boardhost.com/yourboard for your message board address. Unlimited Categories, Forums and Sub-forums. If we want to remove the advertising and the Boardhost branding, Boardhost has a premium plan for US $15/month. We provide secure, modern, and easy to use free forum hosting services. Sign up today completely free, and you're ready to begin. A free message board or free forum is a useful addition to any website, or can even be the main focus. Jcink is a free forum hosting that has been online since 2006. Jcink free forum hosting is using the enhanced Invision Board as the core. Jcink is a great place to start and build your online forum easily with high level of customization. You can add extra sections to your forum created at Jcink to make more lively than ever. 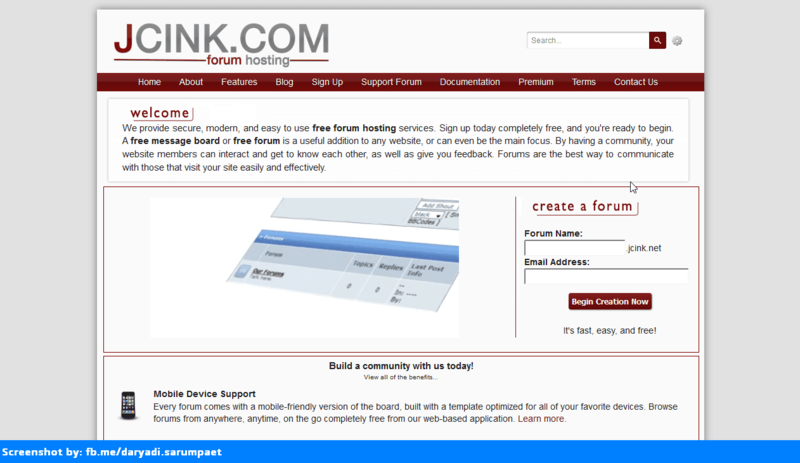 At Jcink, you can get free subdomain like yourforum.jcink.net as your forum website address. You can view complete Jcink free forum hosting at Jcink official site features page..
Jcink forum hosting has premium plan started from US $10/month that will disable the advertisement on our forum and give more additional features. Flarum ‐ the best forum software ‐ can be hard to set up. Not anymore! Create your own Flarum forum instantly and start building your community. 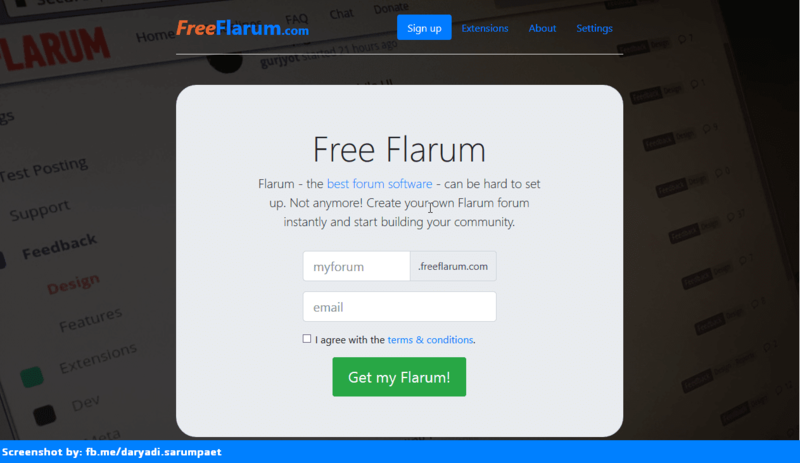 Last but not least is the newcomer (relatively) as the free forum hosting provider, it is Free Flarum. Free Flarum just like its name, are using Flarum the most anticipated next generation of forum software in the core. Up until this post was first published, Flarum itself still in Beta stage. So we may expect more new features and plugins will be added by Free Flarum in the future. If you want to create your own fast and modern online website forum, then Free Flarum is the right place to go. You can get a free subdomain like yourforum.freeflarum.com for the forum you created at Free Flarum. Fast. Powered by the fastest machines on the net. Your community and your data is yours and you can always export it. The Free Flarum is still a "baby" (when this post was first published) and they still have not make it pretty clear describing about the premium plans. I also don't see any advertisement (yet) when I was trying their service created a forum there. That's all the 7 great forum hosting for creating website forum with 0 cost and without involving your hand dirty with the programming thing. So what are you waiting for? Kickstart your own online community right there and right now! Comments (0) in "7 Best Free Online Forum Hosting to Launch Your Own Community Website Without Programming Skill"